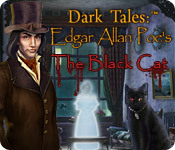 Dark Tales: Edgar Allan Poe's The Black Cat is rated 4.0 out of 5 by 60. Rated 5 out of 5 by jewel_43 from Another Gem from the Edgar Allan Poe series of games Loved this game! 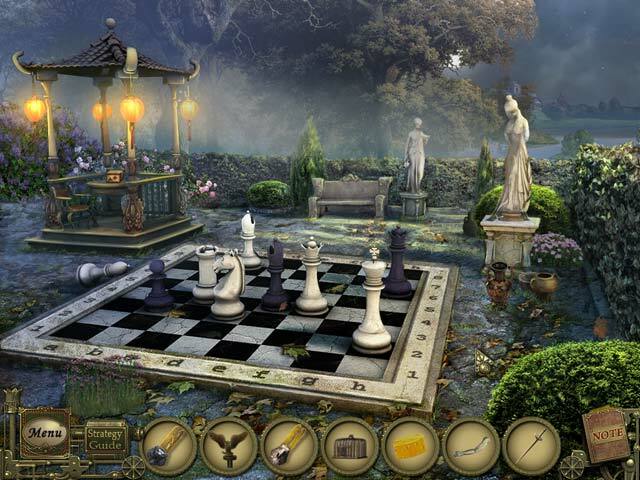 Hints are found only in the hidden object scenes and nowhere else so this increased the level of challenge. Graphics are not great but don't detract from the enjoyment the game provides. If you are after a bit of a challenge and like games set in the 19th century then this is definitely the game for you! Rated 5 out of 5 by MAG57 from very playable interesting long game! I love this game and it is not easy. For that reason I strongly recommend getting the collectors edition. I wish that I had. I have to keep leaving the game to read the walkthrough. Rated 5 out of 5 by gmagmajohnson from Favorite I love playing this game over and over. Excellent all around. Good hints, good Hos. And there is a real bonus game in the collector's edition! an excellent one at that. The story is good. I come back to this game when I'm bored with other games. I don't play games for the challenge, I play for entertainment. And this one is entertaining! I have most of the Dark Tales and this one is still the best. Kudos. Rated 5 out of 5 by pennmom36 from Dark Tales: Edgar Allan Poe's Black Cat Another Poe masterpiece reincarnated into a masterpiece game! Sarah Davies has been reported missing for nearly two weeks and Detective Dupin has once again asked for your sleuthing skills to help solve this case. People of the town have reported seeing Sarah walking the streets with her faithful feline, but when approached, Sarah vanishes into thin air, as if she were a ghost! (they never say if the cat disappears too) Is this an elaborate hoax, did her oddly behaving spouse, Monsieur Mark have anything to do with her disappearance? One thing's for sure, this black cat seems to be purposely leading you to places of interest as if helping you put the pieces together of this bizarre missing persons case Even though this is one of the older Dark Tales game, I was still amazed at how vivid and detailed the graphics are, Detective Dupin doesn't yet have a voice, meaning that the newer Edgar Allan Poe games have voiceovers and this game just has dialog boxes that you have to read. This feature actually annoyed me, not because I had to read what each character was saying, but because the dialog boxes popped up directly onto the inventory bar each time I would click on an active area, with a "helpful" description. You would have to then exit out of the dialog box or press continue, if it wasn't an item that could be picked up but rather a task that required an inventory item. No biggie, just sort of annoying. 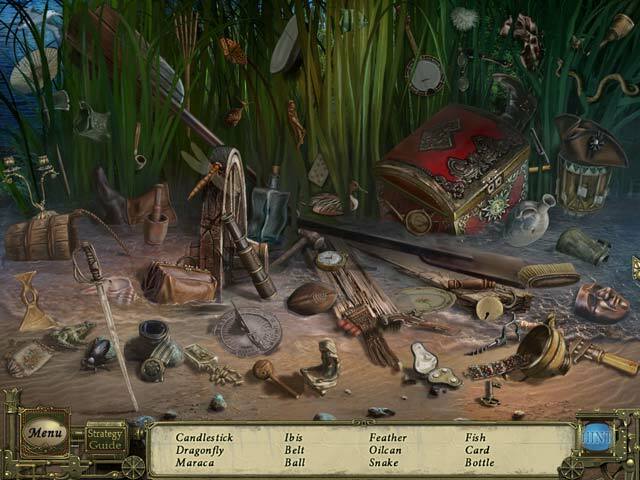 The Hidden Object Scenes were slightly interactive list finds where you might have to click to open a drawer for example, exposing more items. Almost every scene has a HOS, just the right amount, not too many not too few and some of the items are very well blended into the area. The Collector's Edition has wallpapers, soundtracks, a built in strategy guide and a bonus chapter available. These extra's are only available in the full version, not the demo, and because there is no hint system during the regular game (only for mini games and HOS) I think the Collector's Edition is the better choice, unless you don't want any hand holding, enjoy! Rated 5 out of 5 by MarissaF from Amazing storyline and gameplay Keeps you on edge, great storyline, fun! Rated 5 out of 5 by JustTheFacts from It’s A Big Step Up GAME COMPLETED SEVERAL TIMES Ah, the charming M. Dupin is back with a new investigation, and has asked his ‘talented assistant’ (that’s you – he’s so sweet!) to help find a missing woman. Mysteriously, a black cat is the one to greet us on our arrival, and throughout the game he points us in the right direction to new evidence and clues. That you are no longer an apprentice and must meet new, higher, standards of investigation soon becomes obvious. This game is a big step up from the original Dark Tales: Murders In Rue Morgue. Besides a different and more complex story requiring much more independent thinking, we have dozens of interactive HOS to scour. They are still beautifully crafted, a step closer to the pastel colours ERS are known for, and the item list still doesn’t tell you which items are interactive. We now visit all those HOS twice. We have a lot more puzzles – though still not many by today’s standards – and they are still easy. However, we now get instructions for some of them. And they combine with an increase in the adventure content to radically change the nature of the game play. We are at liberty to wander all the sites already opened at our leisure, and with no hint button and no map, you could be at it for quite a bit before you get back on course. The journal is a great way to keep the story in mind and describes events well, but is no real use as a guide. This is where the Dark Tales series first dips its toe into the world of true HOPA games, and the experience is a nicely paced adventure perfect for the intermediate player and/or Edgar Allan Poe fans. PS. Crazy cat ladies might enjoy chasing a black cat through the grounds of a dilapidated estate as well! Rated 5 out of 5 by kyleebug21 from i love this game i love mystery games but these ones are my favorites i love dark tales its really cool!!!!!! Rated 5 out of 5 by Kina_Marie from Good Game Definitely recommend it to all levels. Rated 5 out of 5 by poidog from Another great E.A. 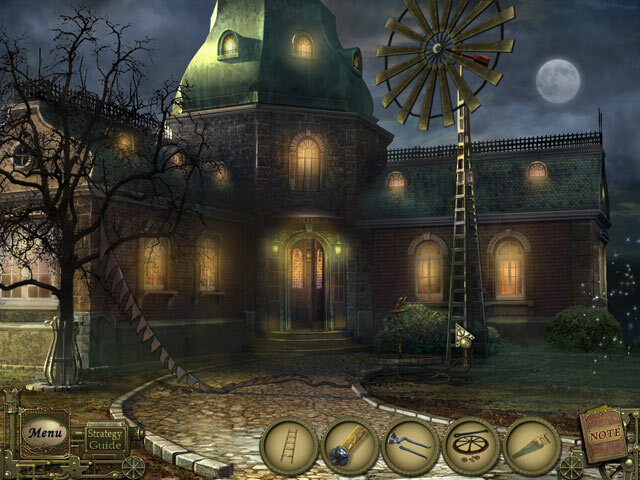 Poe game I'm a rabid Poe fan, so I love these mystery games based on his books. (I also like the other detective in the game - quite handsome and gallant. ^_^) You do really get your money's worth in this game. I started on it last night and spent most of today playing it. It takes time (which is good) and not every puzzle is easy. There are a few you'll work on for a bit. I like that - I don't want to spend money on a game only to blow through it like it was nothing. There are also several scenes where you have to assemble things in order to move forward in the game, and usually the game won't let you start until you have every piece needed. The art is beautiful: the mansion, its grounds, and the lake you have to navigate are all very well drawn. There were one or two objects in the HOS's that were really difficult to see, but they were minimal and I just used the hint button for those. The one thing that was different in this game compared to most of the others I've played is the lack of a hint button within the game itself. I'm not quite to the level of never needing a hint or two to navigate through the house. Hints were available during the HOS's. Finally, the one really bad aspect of the game (for me) was the lack of any information for the puzzles. I would suddenly find myself in the middle of a puzzle, see the "skip" button start to fill up, and there were NO directions as to what I was supposed to do. Thank goodness for walkthroughs, because I had to check one on most of the puzzles just to know what was expected. If this studio makes another game I hope they address this glaring omission. Other than that, the game is great.